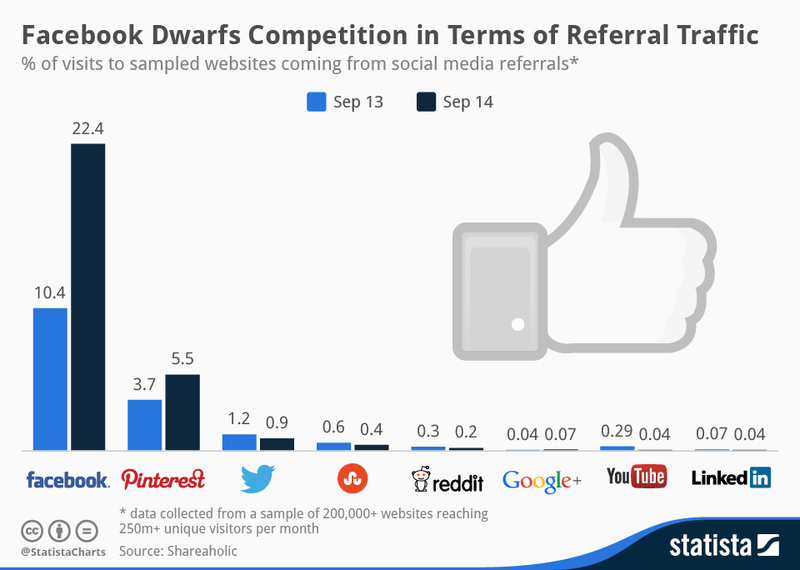 Facebook drives more than a fifth of all social media referral traffic to websites. Pinterest, in comparison, generates just 5.5 percent of website traffic. Amazingly, that’s good enough for second place amongst all social networks. Twitter, which ranks third, accounts for less than one percent. Check the visual below for further insights, which comes courtesy of Statista, citing data from Shareaholic.